When you open a new tab by either clicking on the plus sign at the right end of the tab bar or by typing Ctrl+T, a "speed dial" containing nine windows appears. Eight of these are already assigned to popular sites like Facebook, Twitter, and the Vivaldi homepage (Figure 4). These pre-assigned pages can be deleted as desired. 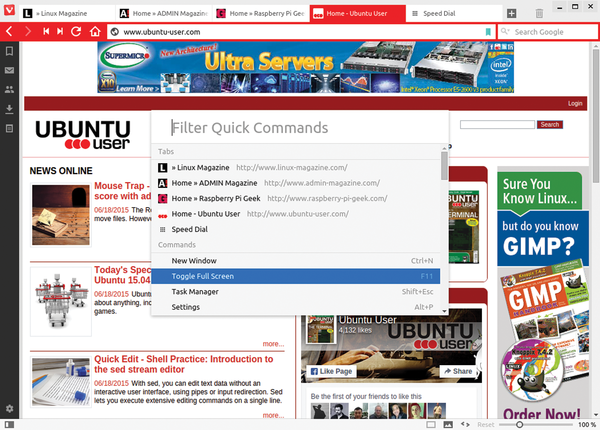 Figure 4: Like Opera, Vivaldi displays pre-assigned websites on its "speed dial" start page. You can change the selection of sites to suit your preference. The status bar on the lower edge of the display screen has other interesting functions. You can prevent the loading of images or only show images that have already been saved. Next to the status bar is a Website actions button, which takes you to actions that are generally useful for the web page you currently display. For example, you can look at a page in black and white, shades of gray, sepia, inverted, or blurred. Some of the entries such as 3D mode do not yet work. A slider to the far right of the status bar lets you smoothly increase the size of the page contents by up to 500 percent, including images which are specially smoothed. 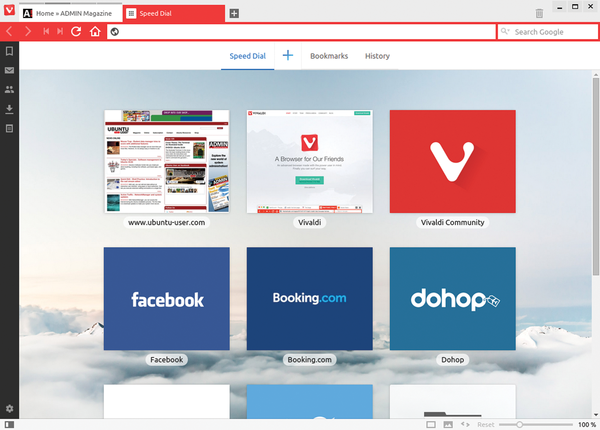 Vivaldi offers Google as the default search engine. You can change the default in the search engine field to the top right. In addition to DuckDuckGo and Startpage, you will also find searching on Wikipedia, Amazon, and eBay, and Wolfram Alpha, a scientific semantic search engine. However, the browser still doesn't let you select a search engine for highlighted text via search using in the context menu. Figure 5: Vivaldi's note-taking function on this panel lets you keep reminders and selected URLs and files. Keyboard users know how to appreciate the many predefined keyboard shortcuts that can be created in settings under Navigation | mouse and keyboard . To make the keyboard shortcuts and the list of open tabs appear, you can simply press F2 (Figure 6). Figure 6: You can call up the "filter shortcuts" dialog with F2. The window shows the list of open tabs and the available keyboard shortcuts. The integrated task manager borrowed from Chrome (Shift+Esc) is a practical and helpful tool when working with many open tabs. One right-click on the entry lets you perform a fine-grained search for possible memory leaks. 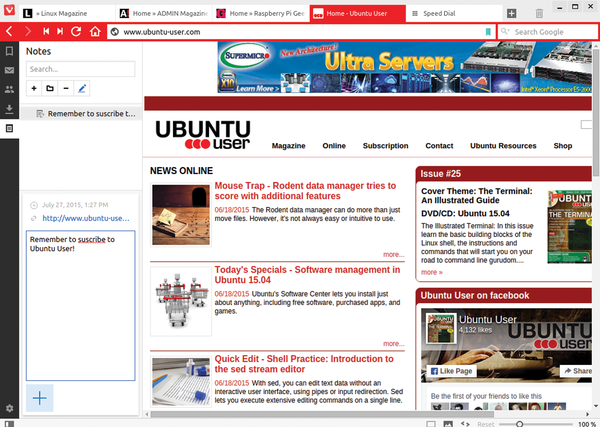 The same developer tools as in Chrome are available here.